John was looking for a position as a rig manager or oilfield consultant. This oilfield consultant cover letter illustrates his strong ability to make “smart” decisions, promote safety, and develop a solid team in the oil and gas sector. These traits are a valued requisite in the oil industry. The compelling opening sentence generates the desire to continue reading. TIP: You have only 15 seconds to convince an employer that you’re worth interviewing. A superior oil and gas cover letter is one of the key components to ensure you make it to the short list of job candidates. 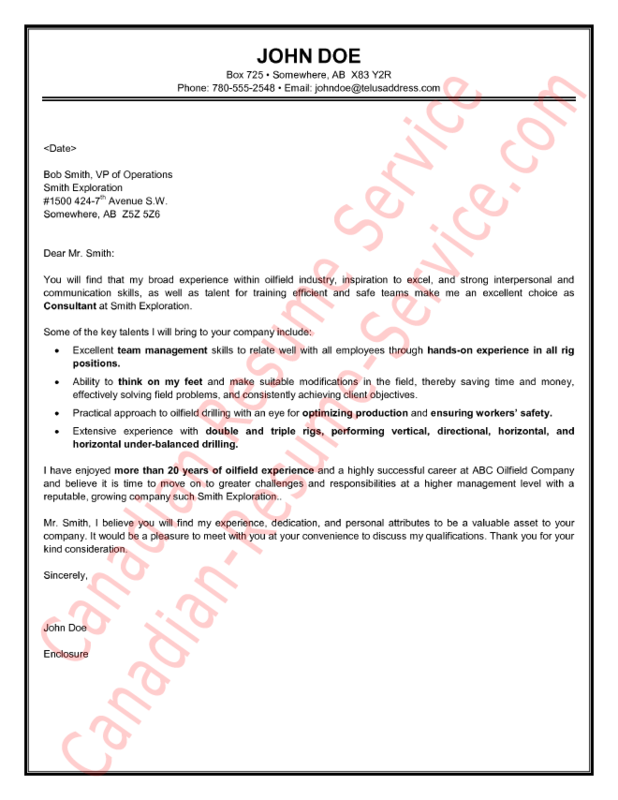 Click on the image to view this oilfield consultant cover letter sample. To view as a PDF file click here!